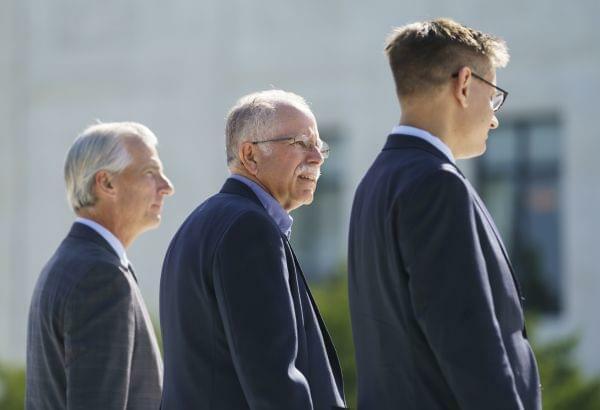 Illinois worker Mark Janus, center, walks into the Supreme Court Building on Capitol Hill in Washington, Tuesday, June 26, 2018. On the 21st: Gardening over the summer, whether you're planting a few vegetables or going all out. And, we talk channeling energy into positive change with the authors of "Soul Force." But first, the latest on the Supreme Court's ruling of Janus v. AFSCME, a case which started here in Illinois. It’s another big day in Washington with the U.S. Supreme Court — and for our Illinois Gov. Bruce Rauner. In today’s ruling, the justices voted 5-4 in favor that argument. Writing for the majority, Justice Samuel Alito said it was a free speech violation to “force” public employees to subsidize a union even if they choose not to join it. We were joined by the state’s biggest public sector union — AFSCME Council 31’s Executive Director Roberta Lynch. Constitutional Law Scholar and dean at the U of I Law School Vikram Amar also joined us. Have you been out there digging in the dirt this summer? It has not been easy... First it’s too hot, then it’s too cold, then there are torrential downpours, not to mention those tornadoes. Well if what you’re after is a beautiful big garden or just a few little potted plants on your balcony, we’re here to help. Or rather, some experts from the U of I Extension and the Morton Arboretum are. Martha Smith is a horticulture educator with the U of I who serves Henry/Mercer/Rock Island/Stark counties. Sharon Yiesla is the Plant Knowledge Specialist in the Plant Clinic at the Morton Arboretum. Do you want to bring your beautiful peonies inside without ants? Give 'em a shake and rinse them says Martha Smith. How can we harness energy for change? That’s the question that animates two Chicago nonprofit leaders who are my next guests. Reesheda Graham-Washington is the executive director of Communities First Association, a faith-based nonprofit helps . Shawn Casselberry is executive director of Mission Year, a yearlong urban ministry program.